Whether you like trading the majors or the currency crosses, I got yo back with these hot forex trade opportunities on EUR/USD and NZD/JPY. Get ’em while they’re hot! 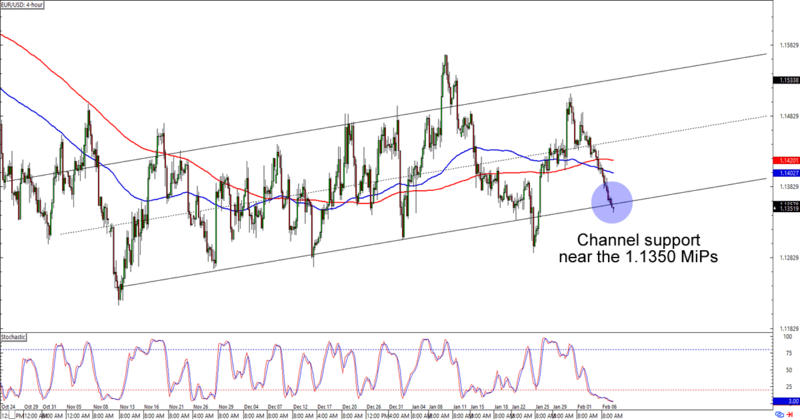 Don’t look now, but EUR/USD might be testing a mid-term support! The pair is chillin’ like a villain around the 1.1350 minor psychological handle, which is right smack at an ascending channel support that hasn’t been broken since early November. Will the bulls defend the pattern for another day? EUR/USD hasn’t shown any signs of a bounce just yet, but keep an eye out in case we see a bit of bullish momentum in the next trading sessions. If you think that we’re about to see a downside breakout, though, then you could also wait for the euro to convincingly break below the channel before you place your short trades. Whichever bias you choose to trade, make sure you practice good risk management habits in your execution! After weeks of waiting, NZD/JPY is finally bouncing from the falling trend line resistance that has been keeping the bears at bay as early as mid-2017. What makes the current price action more interesting is that we might be seeing the first signs of bearish momentum. 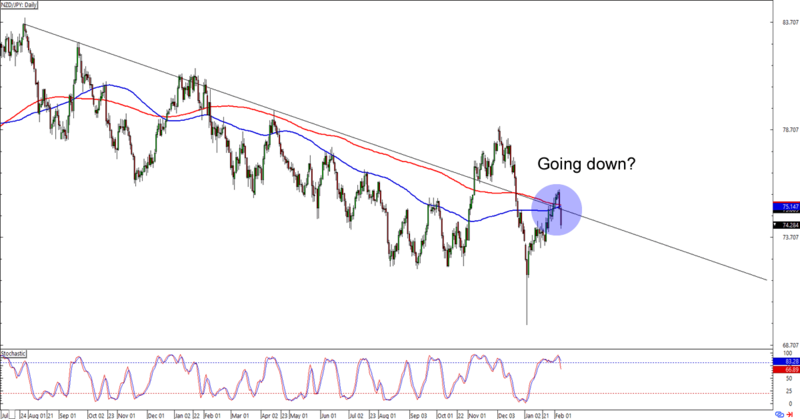 Is NZD/JPY about to extend its downtrend? Shorting at current levels could give you a good reward-to-risk ratio especially if you aim for the previous lows below 70.00. Meanwhile, Kiwi bulls might want to sit this one out until NZD/JPY pops back up above the trend line and shows a clear breakout momentum. Keep close tabs on this one, fellas!